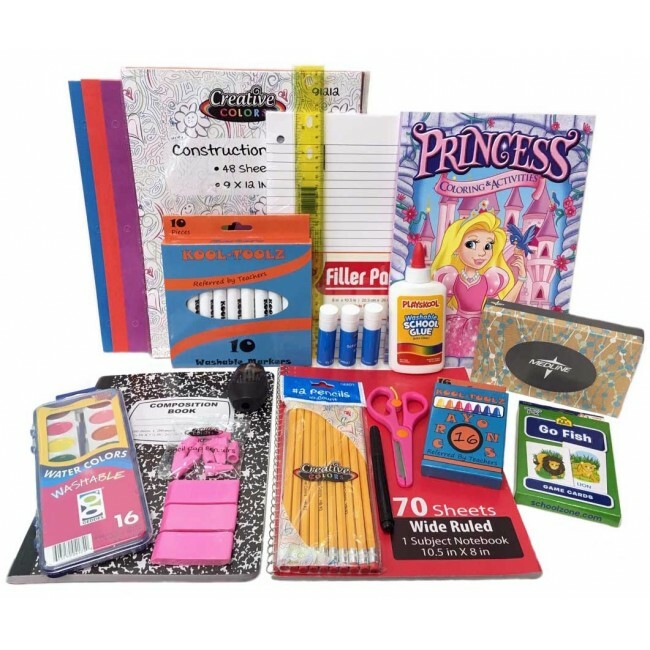 Wholesale Kids School Supply Kit for 1st and 2nd graders. 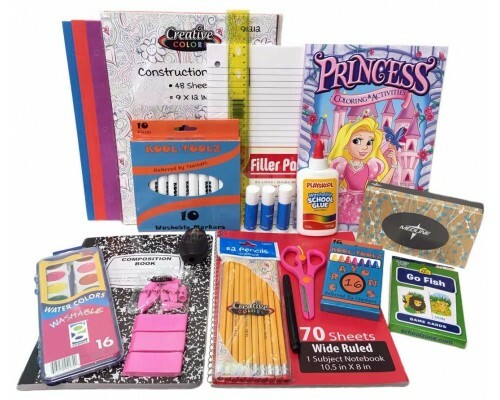 - 3- Glue Sticks 8 Gr. - 1- Broad Tip Marker 8 pk.